Haus der Technik will host the “Basic Principles and Design Criteria of Crystallizations in the Chemical and life-science Industry” course in Berlin, Germany. (PM) Essen, 20.12.2012 - The course will take place in English from April 17-18 and in German from April 18-19 (Grundlagen und Auslegung von Kristallisationen in der chemischen, agrochemischen und pharmazeutischen Industrie). 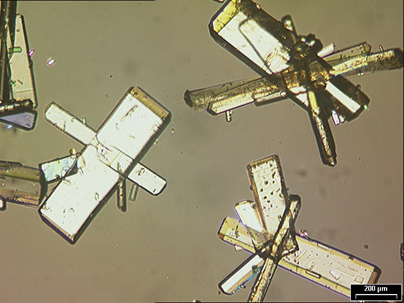 The key focus of the course is on the theoretical basis of crystallizations and understanding of crystallization processes, nucleation, crystal growth and agglomeration. Experienced specialists with top expertise will present their theoretical observations within the context of their long-standing practical experience. Target group of the course are chemists, chemical engineers and plant managers working in the chemical and life-science industry, in the fine chemicals industry as well as in the basic chemicals industry who develop crystallization processes, transfer crystallizations into production or between sites, operate crystallization processes or who optimize crystallizations. The course is equally directed towards persons working in formulation of crystalline products, in the life-science but also in alimentary or consumer products fields, wanting to learn more about the potentials of the processes leading to the crystalline starting material to be formulated.